Mauj Mobile, People Group’s Mobile VAS company has announced that it has acquired UK based Mobango, one of the world’s largest independent mobile application and User Generated content store. With the advent of 3G and availability of feature rich smart phones at low prices in India Mauj expects consumption of data-based services to increase significantly. This deal will allow Mauj to provide its partners, in India and abroad, a wider array of applications and content for their customers whilst further consolidating its foothold in the telecom managed services space. Mobango has customers worldwide across all geographies with a big proportion of customers also from India. 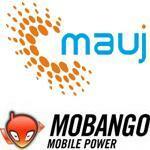 All downloads on Mobango are free for its end consumers. Mobango has served over 750 million downloads and currently generates in excess of 300 million downloads per annum to their customers. Mobango has one of the largest developer communities in the world who upload a large number of mobile applications to its store every single day.